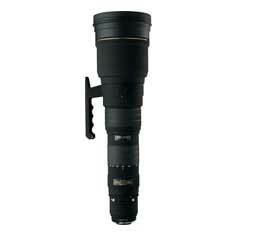 &navigatorThis lens covers the telephoto range from 300mm to the ultra-telephoto range up to 800mm. By continuously varying the angle of view from 8.2° to 3.1°, the lens takes a lot of the footwork out of picture composition. The new multi layer lens coating and lens design reduce flare and ghost, which is a common problem with digital cameras and also creates an optimum color balance. Two ELD glass elements in the front lens elements reduce chromatic aberration to a minimum and also ensure sharp, quality images of high contrast.